According to the first census of Plaisance (1671), the small number of original inhabitants came from the Île de Ré and La Rochelle. In 1685, Plaisance numbered 588 people, of whom 153 were residents (men, women and children) and 435 were seasonal fishermen. In 1698, about 40 families were living in the colony; with most of the women born there. Half of the beach concessions registered in 1698 were in the hands of the same owners in 1713. 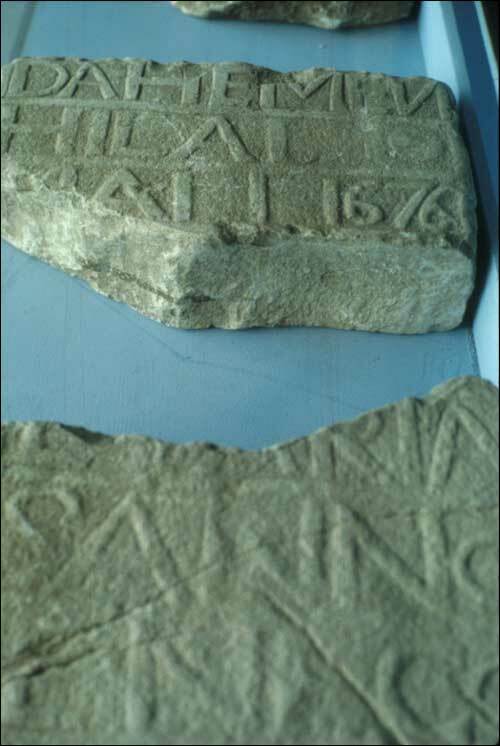 This gravestone provides one source of evidence for the original location of the French church in Plaisance, for it was found on the site of the present day Anglican Church. 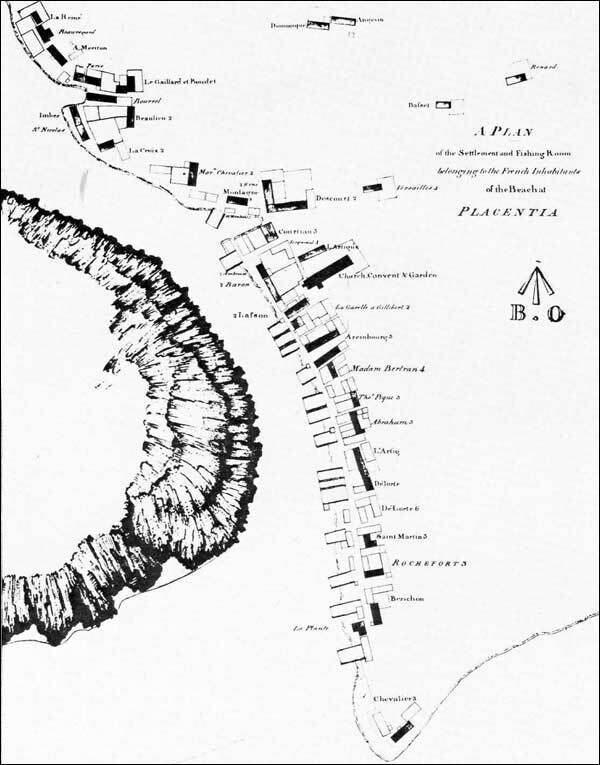 In 1698, Plaisance had three districts - the fort area, with four habitations, a beach with room for 40 shallops, and a hospital near the lime kiln; the large beach area to the south of the narrows, with 25 habitations using about 100 shallops; and the Green Point area with five habitations and a beach with room for 20 shallops. The "habitations" were simply wooden cabins. This plan show the location of French houses, fishing stages and other structures at the time of the transfer of Plaisance to the British. Names of Properties at Plaisance, 1713. As they appear on the plan from North to South. Map courtesy of the Documentary Art and Photography Division, National Archives of Canada. The growth of the resident population was slow. It increased from 74 people in 1671 to 119 in 1687, 205 in 1706, 225 in 1710, and 189 in 1711. ** Three women and 11 children were in France at the time of the census. *** Ten women were in France at the time of the census.